Women of colour in journalism bring a lot to the job. And take a lot, too. All but one of the women asked for confidentiality, fearing that speaking out would threaten her job security. I’d be lying if I said I haven’t experienced similar encounters to those described by the women I interviewed. I identify as mixed-race: I have a Polish name, but an Armenian face. My family tree is a combination of my Polish-Jewish and Armenian heritage. In a previous journalism job, I showed up on day one eager to learn and contribute. Within just a few months, my boss at the time told me I was hired “to be the diversity.” The same superior called me “fiery” after I questioned ethics around our Indigenous coverage. In various other positions, colleagues have asked me how to cover “people of colour” issues in a way that made it seem they assumed I have a third eye with an omniscient, racialized lens. Situations like these created a lot of pressure. Privately, I obsessed, panicked and cried over advice I chose to give — or not give — and whether I made the right decision. On many occasions I felt shame for failing to call out racism in my workplace. Understanding the risk leaving any job might pose to my career, I nevertheless have walked away from jobs that made me uncomfortable, always in hopes of finding a better setting to be a journalist. Many Canadian women in media have spoken out against racism publicly. In a 2016 column explaining why reverse racism against white people isn’t real, VICE’s Manisha Krishnan references how an “outraged” white male journalist called her a “bigoted little witch” who was “trying to shut down white voices.” The man spoke those scathing words shortly after Krishnan wrote a piece urging people who have never experienced racism to tread carefully when broaching the topic. Daily encounters less angrily racist than the attack on Krishnan can leave women of colour feeling uncomfortable nonetheless. When Tamara Baluja, a Vancouver-based journalist and educator, first started in journalism, she asked an internship coordinator the best way to get hired post-internship. Baluja, who has since enjoyed a very successful career, said the individual praised her writing and reporting skills, but suggested she should report more in South Asian communities. “That completely baffled me because that person didn’t even take a moment to find out if I have any authentic connection to that community,” Baluja said. Basically, if you look brown (or Black or Indigenous or Asian), you’re not only encouraged to tell “diverse” stories, you’re expected to — even if you want to write about the environment, education, city hall or oil and gas. Considering editors tend to assign human interest stories to women, this reality disproportionately affects women of colour. This siloing of BIPOC journalists exposes the limitations of most diversity and inclusion initiatives. Many racialized reporters are hired to lead Indigenous, immigration and “identity” beats, which is undoubtedly important, but the benefits of hiring racialized reporters extend beyond the optics of diverse newsrooms and online and print content. Meaningful inclusion requires us to consider how BIPOC perspectives can improve all reporting. When people from diverse backgrounds — and this isn’t limited to race — get to report on the environment, education or business, they’re often attuned to under-explored concerns and perspectives. 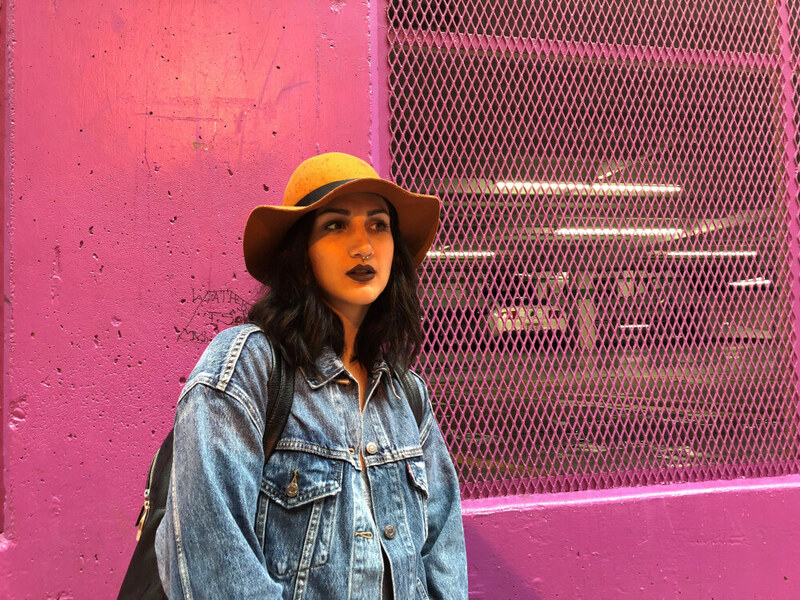 Anita Li was fed up with the lack of supports available to Canadian BIPOC journalists, so she decided to start the Canadian Journalists of Colour Facebook group alongside another Toronto-based journalist, Sadiya Ansari. According to Li, media organizations need to offer more mentorship opportunities. “It’s important to get guidance from people who understand your unique challenges,” she said. Li has become one of my mentors. I’ve lost track of the number of times I’ve messaged her for advice. She’s been there for me 100 per cent of the time, as have a handful of other media professionals and academics. Mentorship and camaraderie came up in every interview I conducted while researching my thesis. All of the women either credited their success to mentorship or said they make a point to mentor young reporters and validate their struggles. Osobe Waberi, a student journalist in Toronto, said she hasn’t had run-ins with racism or sexism during her internships. In fact, her experiences have been largely positive, and she attributes her comfort to mentors, professors and editors who understand her lived experiences, or at least try to. Still, she has had to “get used to being the only visible Muslim woman in the room almost all the time. Whether in internships or in classrooms, you stand out like a sore thumb.” she said. For Waberi, the sting of racism comes from seeing it in the work of other journalists. “I love journalism and I want to do it forever, but I can’t ignore the hurtful representation it provides of people who look like me or women of colour or Muslim women who are visible,” Waberi said. Like Waberi, I too love journalism. Most of my experiences practicing the craft have been inspiring. Now, I exclusively work and freelance for respectful, energetic and open-minded organizations. Most female journalists of colour will confront, navigate and hopefully conquer racism and sexism at some point. Making their paths easier begins with shining light on the obstacles they face. But talking about racism can put careers in limbo, as we saw with Cole and Dhillon. How can we spark meaningful change if we don’t allow racialized folks to speak out without fear of retribution? People in journalism pride themselves on their skills at seeking out sources, listening and presenting their concerns clearly and powerfully. Let’s apply the same in our newsrooms. Let’s go out of our way to listen to our colleagues, superiors and subordinates who deal with racism, sexism or other prejudices regularly. The only way to effect change is to let those affected lead it. Republished with permission from the author and The Tyee. Isaac K. Oommen is an educator, freelance journalist and writer from Vancouver. He is currently based out of Dubai, where he grew up.